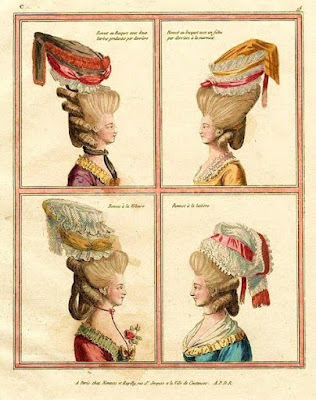 In my last post, I confessed to a long-standing curiosity about the high court women’s hairstyles of the 1770s and shared some of my findings about maintenance and style. But we could not rightfully conclude any discussion of this quirky topic without exploring the icing on the cake, so to speak … the bounty of decorations with which courtiers of the period topped their tresses. “The number of ladies' hair-dressers increased so much, that there were no less than 1200 of them in Paris in 1769” (The Eighteenth Century: Its Institutions, Customs, and Costumes, by Paul La Croix, 1876, New York and London). French court hair-dressers like Rose Bertin (marchandes des modes to Queen Marie Antoinette, who became head of the Fashion-Makers Guild in 1776) and Léonard set fashions other copied. “Léonard was the inventor of the wonderful modes of wearing the hair which were in vogue for more than ten years” (La Croix). Bertin created the pouf a la circonstance, a little bonnet or round fabric on which various decorations like flowers, feathers, jewels, fruit or even landscapes or bird cages could be placed. Consider the pouf a charm bracelet for the head. Its decorations could reflect the attachments of the wearer, the season or national events. Yes, la belle poule really included the recreation of a ship as part of a headdress worn at the court of Louis XVI. And a hot air balloon style celebrated scientific experiments along the same lines. Regular citizens without need to imitate the eccentricity of courtiers still attempted to heighten their hair. Sketches from the period show even bar maids with small caps crowning heaps of tresses. Formal portraits most often depict height with a string of pearls. Before we become too judgmental about 1770s hair, how many of us sported a 1960s beehive or hair sprayed our locks to heaven in the ‘80s? We had to balance out those shoulder pads just like the 1770s ladies did with their paniers, right? 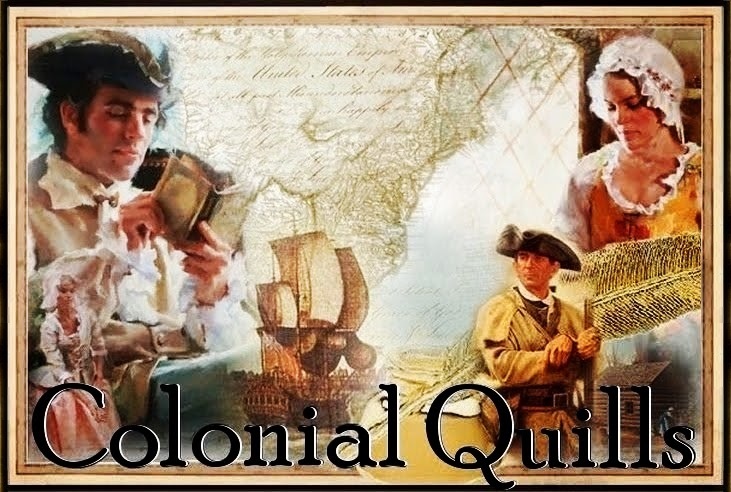 Some online sources consulted: Démodé: Historical Costume Projects & Research Sources, Specializing in the 18th Century, “Women’s Hairstyles & Cosmetics of the 18th Century: France & England, 1750-1790. 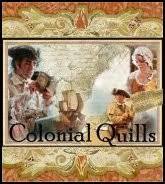 Two Nerdy History Girls Blog, “The Truth about the Big Hair of the 1770s,” August 18, 2015. 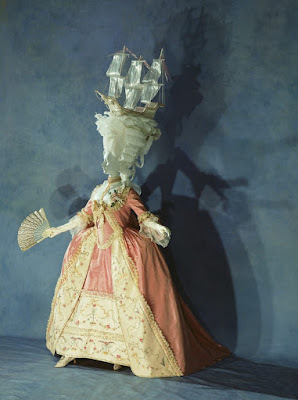 On Pins and Needles Blog, “Le Pouf: Fashion and Social Satire in the 1770s-1780s,” by Landis Lee, February 1, 2012. Oh my, I cannot imagine wearing something like that on top of my head. Interesting post Desise. Thank you, Tina! I can imagine walking around with books on one's head would be good training. Think of all the ducking through doorways. Whew! Bet they did create some headaches! Ow all that hair I can't even imagine! I think My Chiropractor would love me that is for sure!